Ernie Pyle wrote that for the invasion of Sicily Army engineers of just one division brought 83 tons of printed maps. We’ve looked over the actual maps for the invasion of Kyushu and are sure it was several times that for Operation Olympic. Kyushu is a much bigger island, and they mapped it in intricate detail, down to every fishing shack and outhouse. Kyushu was covered by over 150 color folding map sheets, each spanning 25,000 yards, about 14 miles. 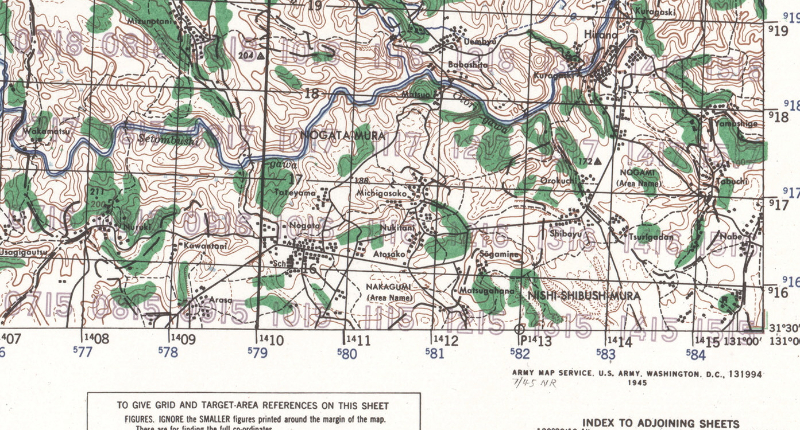 Tens of thousands of junior officers tracked their men over several of the maps. An artillery battery might cover four at once. Pilots had their own versions, and planners back at base had to translate back to the land versions to coordinate activities. A lot of guys needed a lot of maps. Now we need a new version – for the readers. 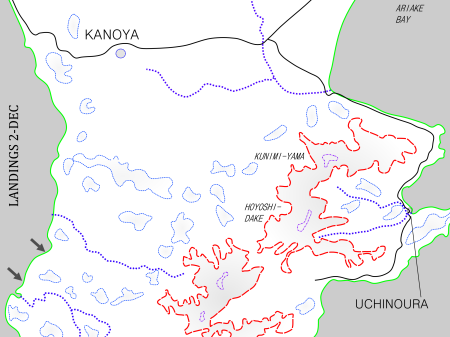 Simplified maps were drawn up just for X-Day: Japan, of southern Kyushu and key battle areas. They are being made available here in a stand-alone package. The reader can refer to the maps separately, without having to flip or scroll back in the middle of a chapter. Click to save the zip package.